Welcome to Austin Food Carts! After over 8 years of trying to keep a full job and maintain this site, I have come to an end. Thank you all for your support over the years but as of March 2017 this site will no longer be maintained. Trailer, cart, truck, silver bullet, wagon, we got em’ all. Austin loves our Food Carts and they seem to be growing by the day. You see them set up in parking lots, on sidewalks, in groups or standing by themselves they seem to be everywhere. What you don’t know, is that some of the best and freshest food in Austin is served off of these carts. You can get dogs, tacos, Pho, crepes and a multitude of ethnic foods (oops! Can’t forget cupcakes!). 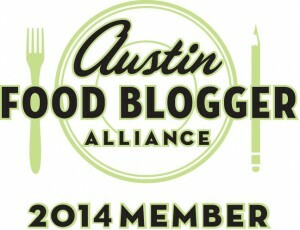 Our job here at AustinFoodCarts.com is to track them for you. Where are they? What kind of food do they serve? When are they open? AustinFoodCarts.com is primarily an index to where you can find carts in Austin and what you can expect when you get there. On Austin Food Carts Comments are King! Got something to say about a cart? Comments are in order. Food good? Food bad? Never open? Not open when they say? Best food you have ever eaten? We want to know and so does the world, so let them. Also, if you have information that you think is incorrect please let me know. Interested in getting into the Austin Food Cart or Food Trailer business? Check out this article from Mick Vann at the Austin Chronicle, it gives a great overview of the food cart/food trailer process in Austin and what it takes. If your favorite Austin food cart or trailer is missing, let me (and the cart owner) know and we will get them posted. Submissions can be made right on the site at the Submission Page. Warning: Food cart information is especially vulnerable to change (the carts are on wheels after all). Although I will do my best to keep this site updated, any news you send my way will be especially appreciated. For more information email mike@austinfoodcarts.com. If you are a site owner, please go to the submission page and submit your cart for listing. a good idea, i have them on each page, but a mashup of all of them is possible. i will try to add this over time.